It’s Official! Congratulations to Joint Council 10’s newest Teamsters. 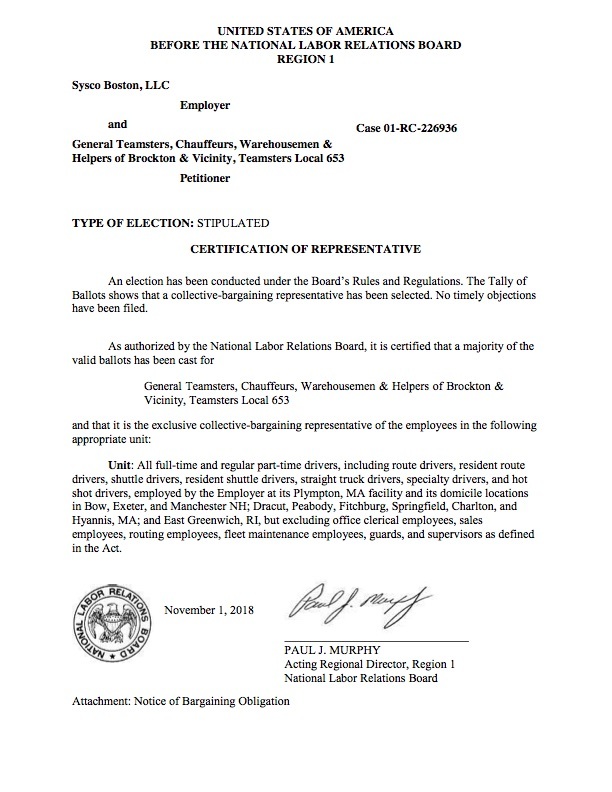 Today marks the official certification of Sysco Boston workers as members of Teamsters Local 653. Sysco did not object to the results. 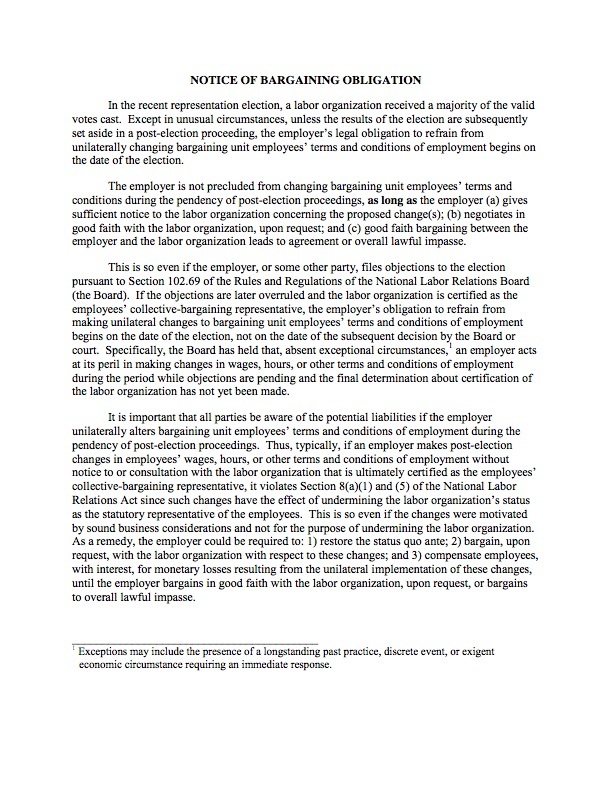 Now it’s time to start the bargaining process! Click here to download a PDF version of the letter posted below.